Ceramic Pro by Nano Shine are a range of advanced protective coatings for Automotive Paint, Fabric, Leather, Glass and Plastic surfaces that are applied by our exclusive network of Approved Applicators Australia Wide. 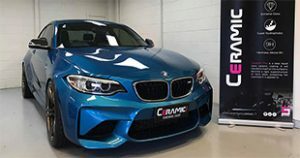 Ceramic Pro Paint Protection is a unique Nano-Ceramic Permanent Adhesion Paint Protection suited to both New and Used vehicles, it offers protection from Damaging Environmental Fall Out, Chemical Resistance, UV & Thermal Resistance and a Hydrophobic Effect to keep your car cleaner for longer and easier to clean! Ceramic Pro is not a wax, sealant or a paint protection like offered by car dealerships and other paint protection companies. Ceramic Pro Paint Protection forms a permanent adhesion to the paint work giving it a superior shine that can only be removed through mechanical abrasion such as machine polishing, making it extremely durable. 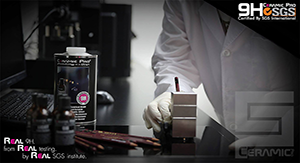 Ceramic Pro has been officially tested and certified by “SGS”, the world’s leading testing, verification and certification company. Ceramic Pro Paint Protection forms a permanent adhesion to the factory paint work that cannot be washed off or removed by heavy cleaning chemicals, making it the most durable paint protection available. 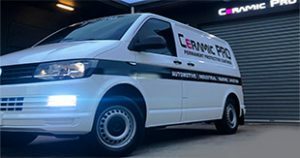 Ceramic Pro have a network of Approved Applicators Australia Wide, that are highly trained in the application and technical aspect of all products. Contact an Approved Applicator in your area today! Contact an Approved Applicator near you today to get your New or Used car protected with a leading automotive protective coating!